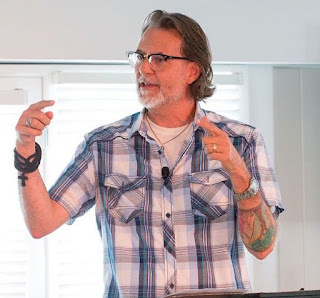 In the last two posts I've described how the metaphor of eccentricity can be used to describe God's transcendence and the missional community's expectation of welcoming God in the stranger. In this post I want to connect eccentricity to the experience of enchantment. All told, then, these three posts illustrate how eccentricity can be used for Trinitarian reflection. God the Father is the focus when eccentricity and transcendence are being discussed. God the Son is the focus when eccentricity is used to discuss encountering God in the stranger, the Matthew 25 encounter of Jesus in the "least of these." And here in this post we'll use eccentricity to describe the enchantment of the world and the encounter with God the Spirit. So, how does eccentricity relate to enchantment? I'd like to borrow the analysis of Charles Taylor and how he relates enchantment to the buffered and the porous self. Taylor's argument is that the modern experience of disenchantment has been less a matter of changing beliefs than an intrapsychic change, a change in how we experience the self in relation to the outside world. Specifically, in an enchanted world the boundary between the self and the world was "porous." The outside would could impinge upon, affect and invade the psyche. The porous self, we might say, was an involved, engaged and relational encounter with the world. As I hope should be obvious, the experience of the world as enchanted is driven by eccentricity. Enchantment is the experience of the porous self encountering something from "outside" the boundaries of the buffered self. Consequently, the pneumatological encounter--the experience of the Holy Spirit--is an eccentric encounter. And as Taylor goes on to say in his essay, the porous self is, thus, an experience of risk, uncertainty and vulnerability. Eccentrically open the porous self can be interrupted by the Spirit. By contrast, the introverted and buffered self is "autonomous," impervious to the interruptions of the Spirit and, thus, unable to be surprised by God. These observations circle back to my posts a few months ago about the nature of the charismatic experience. Specifically, in reviewing James Smith's book Thinking in Tongues we described the charismatic experience of the Spirit as being rooted in an eccentric openness to God, especially God doing something different or new. Smith describes this eccentric orientation as "a deep sense of expectation and an openness to surprise." Eccentric openness to the Spirit, Smith continues, "makes room for the unexpected" where "the surprising comes as no surprise." And a key feature of this eccentric openness is cultivating a posture of receptivity. As Smith says, "pentecostal spirituality is shaped by a fundamental mode of reception." 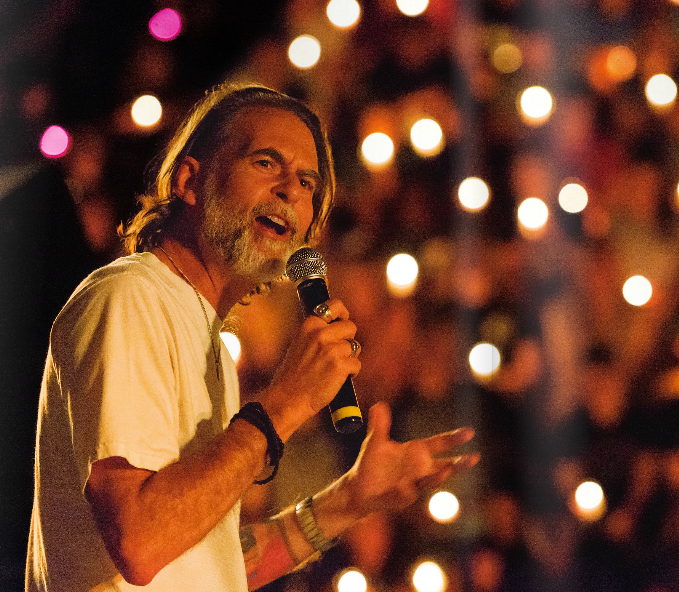 This posture of receptivity moves the self from buffered to porous, shifting us from disenchantment to enchantment and into an experience where there is risk, vulnerability and the potential for surprise in the encounter with the Spirit. The practical point in all this is that enchantment is less about believing in unbelievable things than it is in cultivating a relational self. Enchantment is overcoming the introverted ruminations of modernity--being locked up alone in your head--in cultivating a relational life that is eccentrically oriented and open to interruption and surprise. For me, it became a matter of, is God "over there" while I am "over here"? That god had to cease to exist. God in all things and all things in God, knowing that God is closer to me than I am to myself, is what gives existence its holiness, letting each happening with each individual be the experience God the parent, God the child, and God the comforter and guide. To approach the day knowing that existence itself is the dwelling place, as well as the embraced of God, is what keeps God and existence alive for me, even in my sins. As strange as it may sound, it is knowing that I cannot pretend that I send God away while I become selfish and fail to love, that feeds my passion. A.J. Heschel tells the story of a rabbi who, in trying to convey the reality of God to his students, held up a piece of bread, and said confidently, "This is God". 1. Has a parent who stops to help a homeless family, but keeps his child waiting after other children have been picked up in front of school, done a good or a bad thing? 2. Has an employee who stops to pick up a stranger walking in the rain while on the way to work done a good thing, if she's late as a result? Examples abound, because we are expected to live efficient lives. Like machines, which can't have cogs that just stop for "eccentric" reasons. It's pretty clearly not an accident that disenchantment began with an application of mathematical precision to the world and accelerated when human lives had to be adapted to machines--huge capital investments go into them which then demand our lives in repayment--in the industrial age. You've opened up an application of Taylor's work that I don't recall being in A Secular Age. But there's no doubt a correlation exists between a loss of enchantment and a loss of relationality. It's so bad that I can feel guilty for allowing a car to turn into a busy intersection during "rush hour," since I keep a line of people behind me waiting by that simple "kindness." 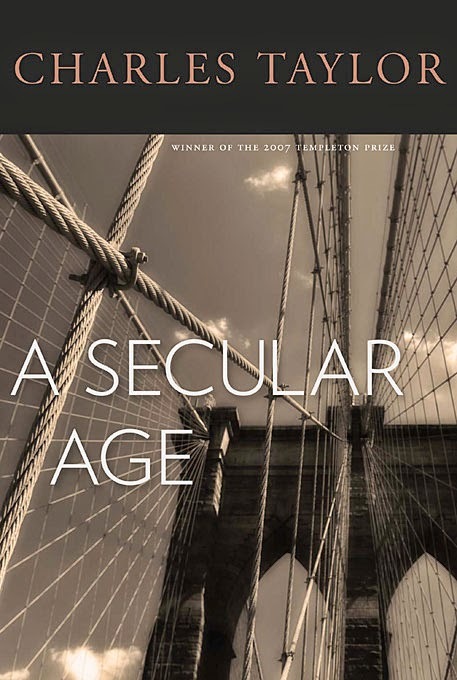 I have to admit I have tried to read Charles Taylor's A SECULAR AGE but wasn't up to the task. That said, I would love to see a follow-up post discussing the dangers faced by the "porous self". Might there not have been good reasons why modernity favored the "buffered self"? Surprise and enchantment sound lovely, but burning witches at the stake and confusing illness (physical or mental) with demonic possession do not. How much of what the "porous self" experiences as an "encounter with the Spirit" is mere psychological projection, and how can we know the difference? Worse, what if the encounter with the Spirit is genuine, only with the wrong spirit? Finally, wasn't the "porous self" of medieval Christendom actually buffered by the institutional Church? As institutional buffering waned, the self had to develop and strengthen its own boundaries...I'm obviously just thinking out loud, and maybe A SECULAR AGE deals with such questions, but I'd love to have Professor Beck discuss this further.